Welcome back everyone! This half term is a very important one - Year 6 have only 4 weeks left before they take their SATS. We are all working extremely hard to make sure we are as prepared for these as much as possible. Many are also attending our free after school booster sessions! With this in mind, we are continuing with our Existing, Endangered, Extinct topic until we have completed our SATS week. In the final week of the half term, we will be launching our new topic, ready for the last half term of the year. The children will this half term create their own animals in English. This will be either a combination of two animals or an animal and a machine such as the helifish. After they have done this they will begin to create their own non-chronological report about their animal. To do this successfully children will be asked to include a range of the different sentence types that we concentrate on in year 5/6 and also to write appropriately for their audience by including a range of technical vocabulary and the key features associated with this text type. Spelling continues to be a big focus. Children have personalised spellings every week to bring home. At the beginning of the summer half term we will look at angles in numeracy. Whilst looking at angles children will be taught how to measure angles with a protractor and also find missing angles when the angles are not drawn to scale. Once we have looked at angles, we will then look at the translation and reflection of shapes on a grid. We will then build on the children’s learning from the previous half term, when they looked at area of shapes. Children will now be challenged to find the perimeter of regular and compound shapes and explain the difference between this measurement and that of area. Finally, children will look at how they can discover the volume of a 3D shape. The final part of the children’s learning for the next half term will be to look at algebra and ratio. Multiplication facts (times tables) continue to be a focus in school. We will be practising times tables daily through interactive games; speed tests and class competitions. Children also have the opportunity to now continue this learning at home by accessing TT Rockstars, which I am sure they have told you all about. This half term we will spend time concentrating on key elements of grammar and punctuation in preparation for the end of key stage SATs, that the year 6 children will soon be undertaking. One area we will focus on is the use of apostrophes for both contractions and possession. We will also continue to focus on the different clauses that are present in sentences. Children will use a range of sketching types and tools to record images of some of the animals they have come across in this topic. They will use sketchbooks to record and then improve on their observations. The children will use tone and shading to add realistic detail and shape to their drawings. This half term we will be developing our ball skills with a range of different drills, challenges and games. This half term, children will be thinking carefully about fun, food and fitness. We will concentrate on the different influences who attempt to alter our food eating habits. This half term children will learn about the Easter Story. Including key events and how they relate to the Christian celebrations many of us enjoy. Homework is sent out weekly (every Friday). This is an opportunity for children to practise what they have been learning in school. Welcome back year 5 and 6! We hope that you had a wonderful break and are ready to join us for our next exciting chapter. Over the next term our topic will be Existing, Endangered, Extinct. This half term we will be looking at discussion texts. After exploring the key features of this text type children will debate key arguments surrounding hunting before constructing their own discussion. As well as non-fiction texts, children will also be reading The White Giraffe by Lauren St John – a story about a young girl who is relocated to a game reserve in South Africa. Ask your child more about this story in a few weeks! Spelling continues to be a big focus. Children have personalised spellings every week to bring home. Children will continue to work on their weekly maths challenges this half term. From these, we identify key areas each child needs to work on the following week. Children will have lots of opportunities to develop skills in many different ways. Multiplication facts (times tables) continue to be a focus in school. We will be practising times tables daily through interactive games; speed tests and class competitions. Children will start the term looking at finding percentages of amounts before moving on to multiplying and dividing fractions. As part of this term, the children will enjoy Science Fortnight – 2 weeks of science based learning where we will be exploring the classification of animals, plants and micro-organisms. The children will use observable similarities and differences to group living things before organising their findings electronically using Purple Mash. Children will also take part in a Lego workshop, where they will construct a Lego house and attempt to create an electrical circuit in order to illuminate it!We will continue to develop science vocabulary so that children can explain new concepts and ideas. Children will start the topic learning about habitats and where animals are found around the globe. They will look at selected animals and discuss why they are found in certain habitats and not others. They will then go on to look in more detail at how the animals have adapted to survive in those environments and what challenges they continue to face. This half term, Children will be thinking carefully about what we put in our bodies and the impact they can have. They will consider the effects of drugs, alcohol and tobacco and where we can turn for advice and support. Children will be using Purple Mash as part of Science Fortnight. They will need to use coding to create a database before inputting and storing data. They will then use database tools to compare their data. Welcome back Phase 5/6! Hopefully, you enjoyed a wonderful Christmas break and are well rested for the term ahead. This term our topic question is: Why do people travel? This half term, we will begin by looking at division and the methods we can use to help us solve problems relating to this. We will be continuing our learning about fractions, decimals and percentages, including adding, subtracting and multiplying fractions. As always, we shall be practising the 4 operations; addition, subtraction, multiplication and division, and using these to solve a wide range of problems in different contexts. This term we will be reading the book, Kensuke’s Kingdom by Michael Morpurgo. From this work, we will be writing newspaper reports based on Michael’s journey and moving onto character descriptions of the characters within the book. We will later look at the work of the famous scientist Edward Jenner and link our writing to our science topic of Micro-organisms. This half term, we will be looking at the travels and discoveries of Captain James Cook.The children will learn about his life, the places he visited and the treasures that he found.He is our person of interest and with strong links to the North, we are sure that the children will find him fascinating. This term, we will be looking at Micro-organisms. We will learn to describe how living things are classified into broad groups according to common observable characteristics and based on similarities and differences, including micro-organisms, plants and animals. We will also develop our skills to give reasons for classifying plants and animals based on specific characteristics. In Geography, we will be looking at the journey that Michael takes in our shared text, Kensuke’s Kingdom. We will locate the world’s countries, using maps to focus on Europe (including the location of Russia) and North and South America, concentrating on their environmental regions, key physical and human characteristics, countries, and major cities. As the children enjoyed practising and performing for their concerts last half term, we will be using the programme Charanga to explore different types of music. The programme allows the children to develop vocally, as well as learning to use some instruments and musical terminology. Welcome back Phase 5/6 and hope you enjoyed a lovely half term holiday. Hopefully, you are well rested and ready for the new term. This term we will be answering the question: How has World War 2 impacted on life in Britain? We will be starting this half term looking at the formal methods of subtraction. We will then be moving on to our times tables and fractions; looking at equivalent fractions and comparing fractions. We will be holding a mock SATs week half way through the term. This will show us where any gaps in knowledge are and inform our planning for future lessons within the phase. We will then finish this term looking at formal methods of multiplication and division. Linked to our topic on World War 2, we will be reading Michael Morpurgo’s Friend or Foe. From this, we will be looking at the main character, David and exploring how (like him) children in Britain were evacuated to the countryside during the war. We will explore his feelings about this and write a diary entry from David’s perspective on his journey to his new home. Following our trip to Eden Camp, we will be writing recounts of our visit. We will then go back to ‘Friend or Foe’ and create an alternative ending to this narrative. This topic will focus on the main events surrounding World War 2 and putting them into chronological order. Then we will look at a real turning point in the war, that of the Battle of Britain. Moving onto rationing, you will look at which foods were and were not rationed and why. You will then compare these foods and meals to the types of foods and meals that you eat now. We will then look at what life was like for the people of Germany during the war, focusing on the life of Anne Frank. This term, we will cover light. We will recognise that light appears to travel in straight lines and use this idea to explain that objects are seen because they give out or reflect light into the eye. We will carry out various experiments into light and shadow. In art this half-term, we will be looking at recreating the London Blitz through charcoal paintings. We will experiment with these materials and see what effects can be created. At the end of the half-term we will be participating in music lessons. We will play and perform using our voices and musical instruments with increasing accuracy, fluency, control and expression. Of course, at the end of this half-term is the Christmas holidays. You will be involved in lots of exciting, festive and fun activities throughout the last few weeks of term. Welcome back year 5 and 6! We hope that you had a lovely and relaxing summer and are ready to join us for the exciting year we have ahead. Over our first half term we will be answering the question: How do our bodies work? This half term we will be starting with place value and the number system. From reading and writing numbers up to 1,000,000 to ordering and comparing decimals, you will secure your basic understanding of numbers. As well as this, we will look at the four operations: addition, subtraction, multiplying and division. Best bring your thinking caps this week as we will be introducing new strategies which will help you progress as a mathematician. As we develop the basic skills, we will apply these to solving a range of problems, ensuring your reasoning and problem solving skills are up to scratch! To begin the half term, we will be focusing on explanation texts. Based on your own research, you will learn how to organise and write your own engaging and informative text, explaining how to stay healthy. You will develop your editing and improving skills by up levelling your writing. After this we will be reading a series of short, inspiring stories about athletes such as Jessica Ennis-Hill (Olympic gold medallist). After exploring their lives, you will use these ideas to write your own motivational story! As mentioned earlier, the human body will be our topic this half term. We will be focusing on learning how the circulatory system works as well as the effects of diet and exercise on our bodies. There will be lots of new scientific vocabulary to learn as we learn more and more, so you will need to make sure you are using your learning to keep your body and mind working perfectly. 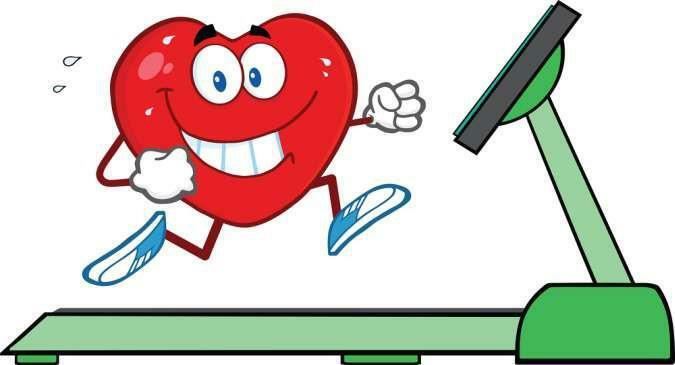 You will investigate the effects of exercise on your own heart rate and think about why the changes occur. As we explore the effects of exercise on our bodies, you will be challenged with creating your energetic work out video! You will take part in a range of Joe Wicks’ workout videos to gain your own ideas for what your work out video could include. You will then develop your filming and editing skills, as you create your own video. After researching a range of healthy meals and balanced diets, you will design and make your own nutritious menu. You will focus on your cutting skills as well as a range of cooking methods. Once you have perfected your menu, you will design and make your very own packaging to entice customers to buy your product! During the last two weeks, we will work towards our annual Harvest Festival; looking at poetry; art and performance dance. Hopefully your parents will join us on Wednesday 24th October.